Bobby J. Delise, senior and founding partner, is a native of New Orleans. Mr. Delise’s primary area of his legal practice is the representation of an international clientele of commercial divers as well as technical, public safety and recreational divers in personal injury litigation. In addition to his litigation practice, Mr. Delise has engaged in the representation of individuals and enterprises worldwide in all areas of the law. A son of a merchant seaman Mr. Delise received his Juris Doctor (J.D.) from Loyola University School of Law in New Orleans in 1979, a Master of Laws (LL.M.) from Tulane University School of Law in 1990 and his Bachelor of Science from Louisiana State University in 1976. Mr. Delise was admitted to the Louisiana State Bar Association in 1979 and the Texas State Bar and Colorado State Bar Associations in 1998. He has been admitted pro hac vice in numerous Federal and State Courts all throughout the United States a privilege that allows his appearance in state courts for which he does not have bar association membership. Mr. Delise holds membership in the American Association for Justice, The Louisiana Association for Justice and The Federal Bar Association. For decades he lectured as a faculty member of the Undersea and Hyperbaric Medical Society where he lectured on Diving Law and legal issues related to hyperbaric medicine. He has also lectured on Diving Law and Diver Safety at the leading commercial diving schools throughout the United States. 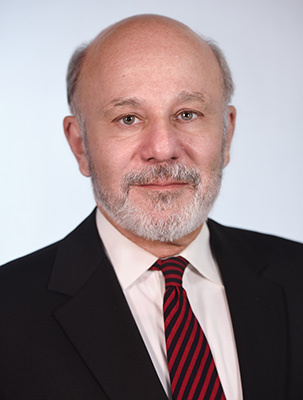 Since 1992 he has been a visiting skills professor at Loyola Law School of New Orleans teaching law students Negotiations, Trial Techniques, Ethics, Professionalism and Motion Practice. Mr. Delise holds the Martindale-Hubbell’s highest (AV) rating for ethics and legal skill and has been named a “Super Lawyer” in Louisiana for the last several years. Mr. Delise is a past Chairman of the Committee on the Profession Committee of the Louisiana State Bar Association, he is a sitting member of the Rules of Professional Conduct Committee of the Louisiana State Bar Association and an Attorney Member of the Louisiana Office of Disciplinary Counsel. He has spoken extensively on Professionalism and Ethics within in the legal profession. In 2006 Mr. Delise earned the Louisiana State Bar Association’s President’s Award for his efforts to promote professionalism in the law as well as his contributions to the Bar and the public following Hurricanes Katrina and Rita. Mr. Delise can be contacted bdelise@dahlaw.com.